Book Velumani and his benamis for graft..! 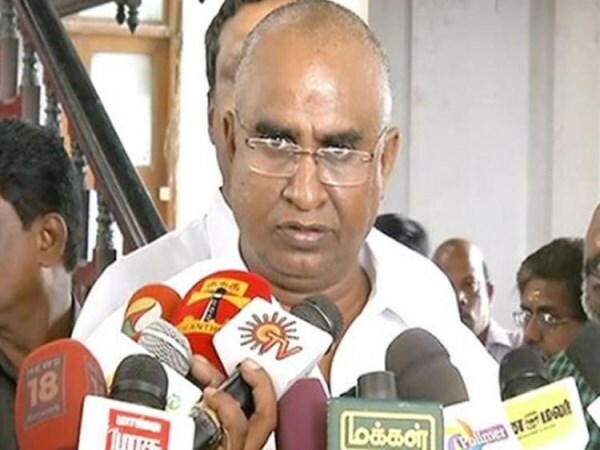 Alleging that Municipal Administration Minister S.P. Velumani had abused his official position and exercised his personal influence as a Minister to obtain government contracts for companies run by his benamis, the DMK on Monday demanded that a case be registered against him, his benamis and other public servants who allegedly colluded with him. In a memorandum to the Directorate of Vigilance and Anti-Corruption (DVAC) and the Vigilance Commissioner, R.S. Bharathi, the organisation secretary of the DMK, alleged that Mr. Velumani had placed his benamis as directors in a few companies, shortly before civil contracts were awarded by the Corporations of Chennai, Coimbatore, Salem, Tirupur and Tiruchi, the Government of Tamil Nadu, the Public Works Department, the Chennai Metro Rail Ltd. and the Chennai Smart City Ltd.
“I have documents to substantiate the above allegations, and am willing to produce [them] if I am asked to do so,” he said in his petition. Mr. Bharathi said KCP Engineers Pvt. Ltd., P. Senthil & Co., Vardhan Infrastructure, Constronics India, Aalayam Foundation Pvt. Ltd., Constromall Goods Pvt. Ltd. and Invicta Meditek Ltd. were the companies that were awarded the contracts.